Word of Mouth TV went to town (or should we say Paris) for the Natasha Lester episode, launching the evening with the oh-so-French cocktail, the Sidecar. 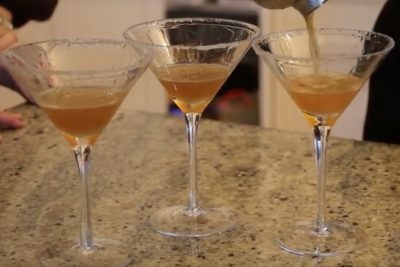 The origin of the Sidecar cocktail is disputed but it is believed to have been invented towards the end of World War 1 in either London or Paris. It was, of course, named after the motorcycle sidecar, a-la Two Fat Ladies, and the Ritz Hotel in Paris claims to be the drink's birthplace.